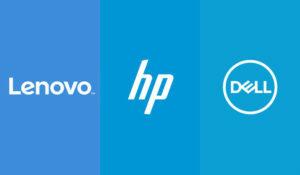 While we can special order new hardware from any vendor as necessary for just about any need, we specialize in off-lease business-grade hardware from Dell, Lenovo and HP. We’ve put together a list of common questions about off-lease machines, please follow-up with us if you have any questions. Won’t buying an off-lease computer mean it won’t last as long as a new one? The price range for our off-lease and custom computers is $239 to the highest price of $799 for the best, most powerful computer we sell. All our new and off-lease computers are bench tested, stress tested and reinstalled with Windows 7 Pro 64-bit SP1. Our average price is around $500 for a mid/high end off-lease laptop or desktop computer. Staples/Best Buy/Micro Center has this same refurbished/off-lease computer for under $250 – why are yours so expensive? The computers that Staples, Micro Center and Best Buy get in are all sold as-is in refurbished condition. That means refurbished hard drives and other replaceable components. Our machines are all certified by us and warrantied for hardware issues for 1 year. We put new hard drives in all our off-lease computers, reinstall the operating system (Windows 7 or 10 Pro) and completely refresh the computer on our bench by hand. The entire process takes over 2 hours per computer, but it’s the only way to guarantee the computer will run as new from the moment you turn it on. Also, try getting warranty service from the big-box stores and you’ll see why ours is second to none. We optimize all our computers after the fresh OS installation as well. This final step isn’t done by the big stores and it makes a huge difference in how your computer performs when you get it home or to the office. Why buy from Midwest PROTECH? We specialize in computer optimizations and clean-up. We optimize new computers and get feedback all the time from our clients that their computers run so much better after they’ve gotten them back. All our new and off-lease computers are fully optimized and updated – all Windows Updates, Adobe/Java updates, drivers and BIOS updates. We invest over one hour on each computer we build or refurbish to ensure that when you get it home or to the office, it runs the best that it possibly can. Do I have to have Windows 10? What about staying on Windows 7? Windows 7 is still a standard for many business and stable residential computers. Windows 10 is becoming more mainstream with a lot of the issues being worked out by Microsoft recently. We can help you decide whether you need to stay on Windows 7 or move to Windows 10 (the cost is typically the same either way). Our mission statement is rooted in Integrity, Honesty and Value. The bottom line is that our goal is to provide the best values possible in all we do. Our new and off-lease business-class computers all come with a 1-year hardware warranty. We are confident that you’ll have no issues with any of our new or off-lease computers and stand behind them completely. Any in-shop repairs are typically handled at no-charge depending on the urgency of the needed repair. If a repair is urgent and needs priority service or while-you-wait service, we may need to charge labor. If this is the case, our warranty service is at 50% of our normal rate.